This is a project I’ve been sitting on for awhile. Here’s the scoop–over a month ago I took my whole gang to a local indoor flea market just for the heck of it. Actually, I was on the hunt for a chair for my sewing desk. I did not find a good chair, BUT we stumbled upon this dusty old pre-fab wood rack. It had a 50 cent price tag so we decided to pick it up and make something out of it. 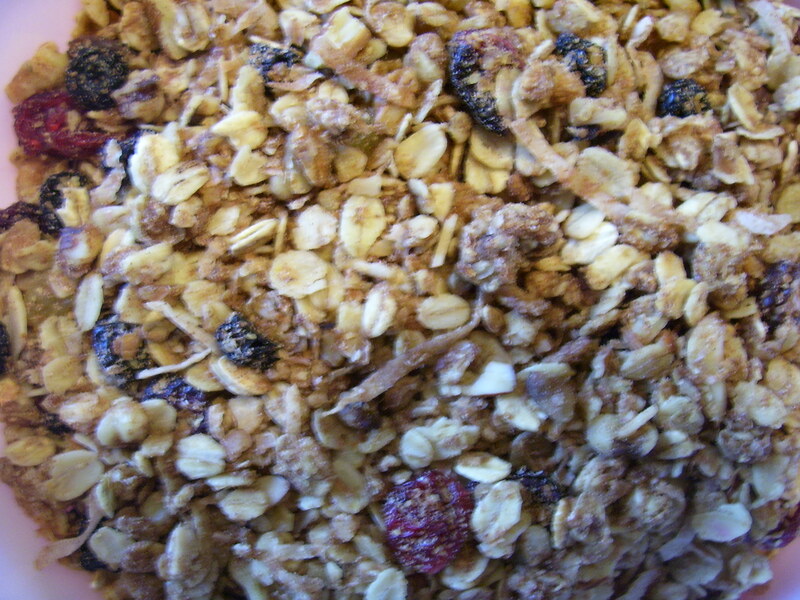 Can you guess what this was? 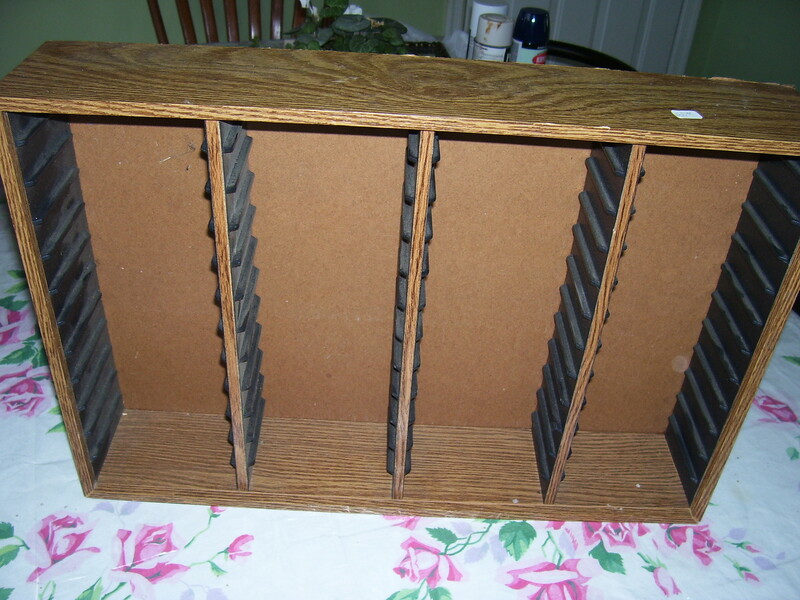 It sort of looks like an old cassette tape rack, but the slots were too big for tapes. 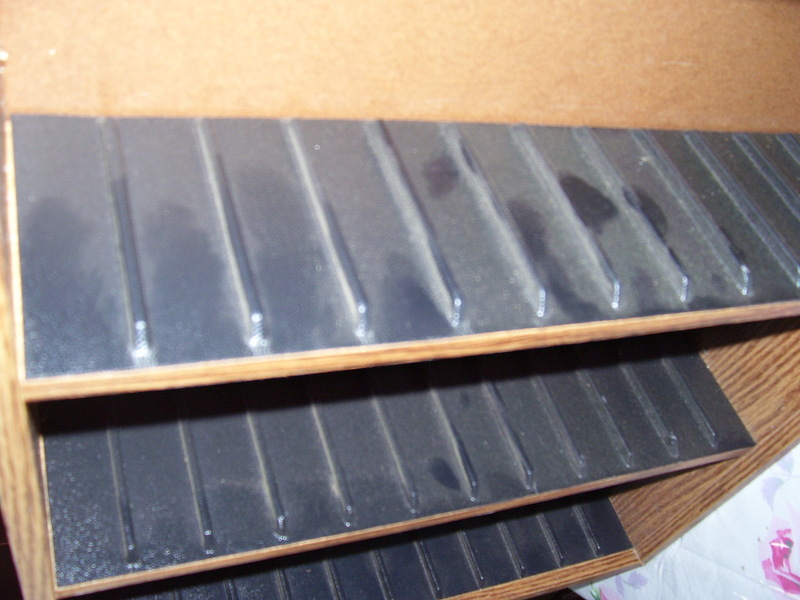 An old 8 Track storage rack maybe? 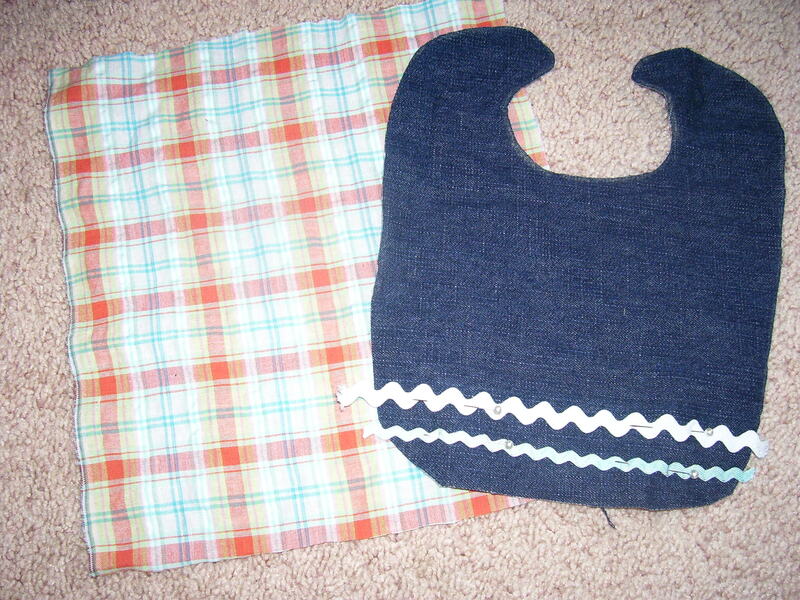 It was meant to be posted this way, but I had an idea forming for a gift for my twins, who are turning 4 next week. A little dusty, but not too shabby overall. First things first–this guy needed a major cleaning. I wiped it down good and used my staple gun on the one back corner, which was a little loose. Next I used painters tape around the edges of this rack. 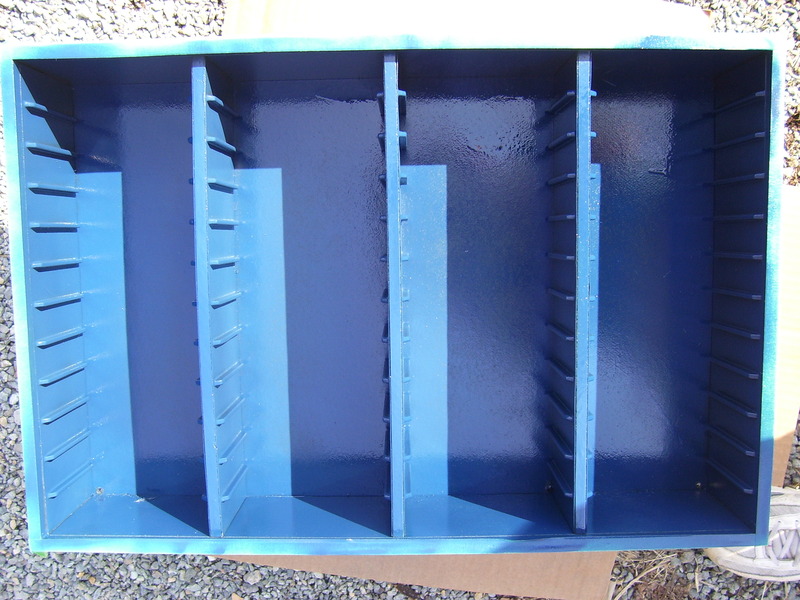 I used Krylon spray paint in this fun blue color for the inside portion. 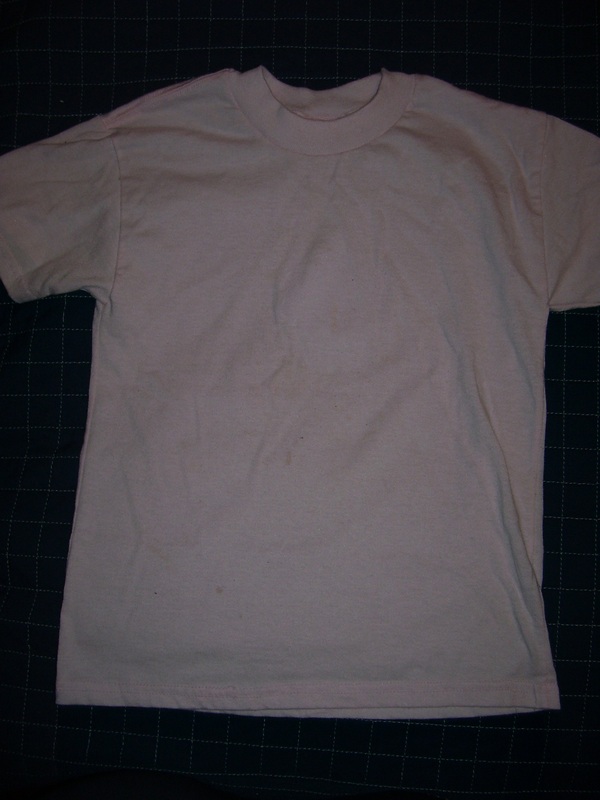 Once I had a good couple of coats on the inside, I taped the inside and sprayed the outside a white. This was a gift for my boys, so we were keeping it on a boyish color scheme. The final result? 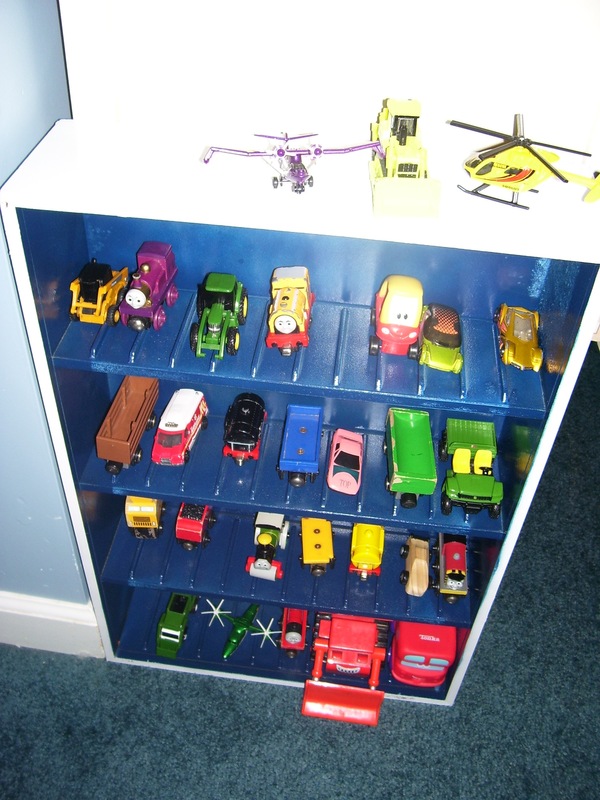 A little parking garage for my little guys’ matchbox cars, trains, tractors, etc. 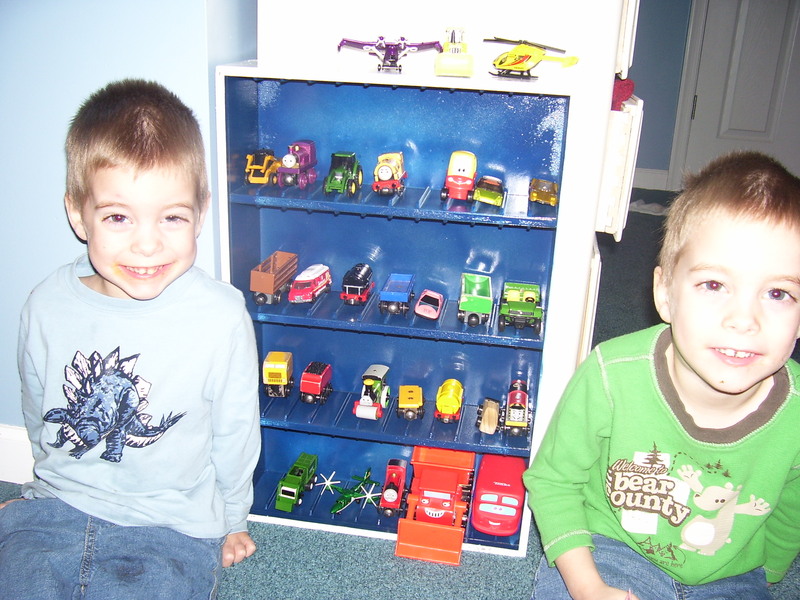 They helped me “park” some of their vehicles and we even parked some planes and a helicopter on the roof. It’s amazing what you can do with a little elbow grease and some spray paint. 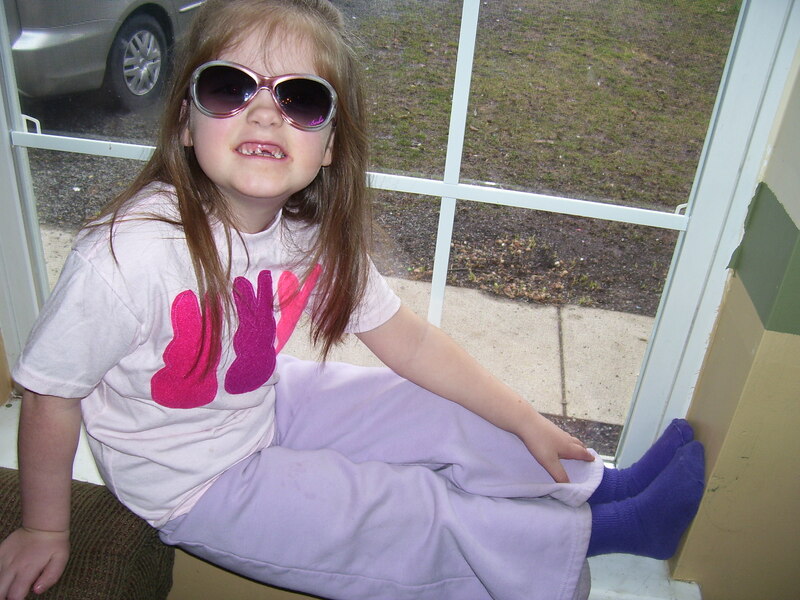 Yard sale season is just around the corner, so keep your eyes peeled for your own hidden treasure! Yes, this is another post about cheap and chic spring decor. You can tell I am really in the mood for spring! I have mentioned before how much I love those spring colors. I recently directed a craft day for my MOPS group and we made all kinds of fabric wall art. There are so many possibilities, and they are usually a snap to make. The fact that they are also extremely cheap to make and look awfully purty are a bonus! Since I was researching ideas for the MOPS craft day, I have made several examples for my own home that I have since displayed. A pretty little Easter egg. My first idea was this Easter egg. 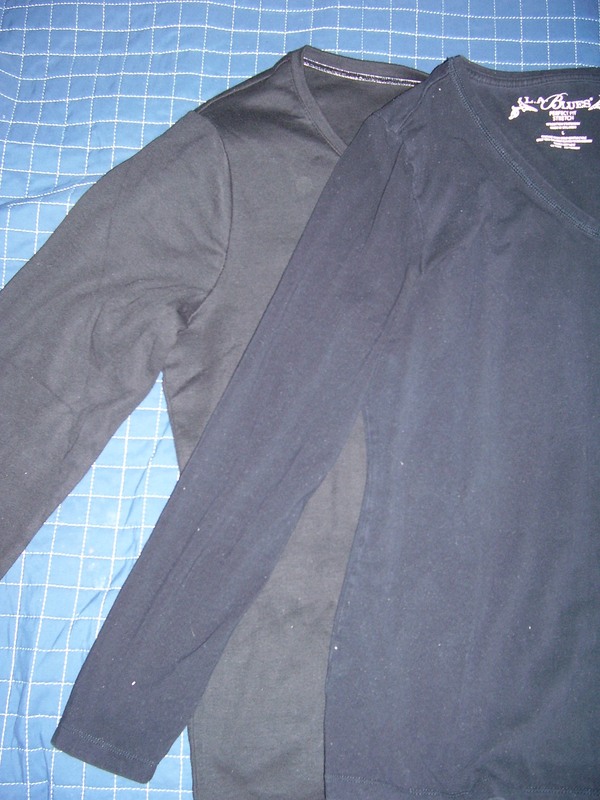 This was SO simple to make, and don’t freak, there is no sewing involved. All I did was take a blank frame (this one was a freebie!) 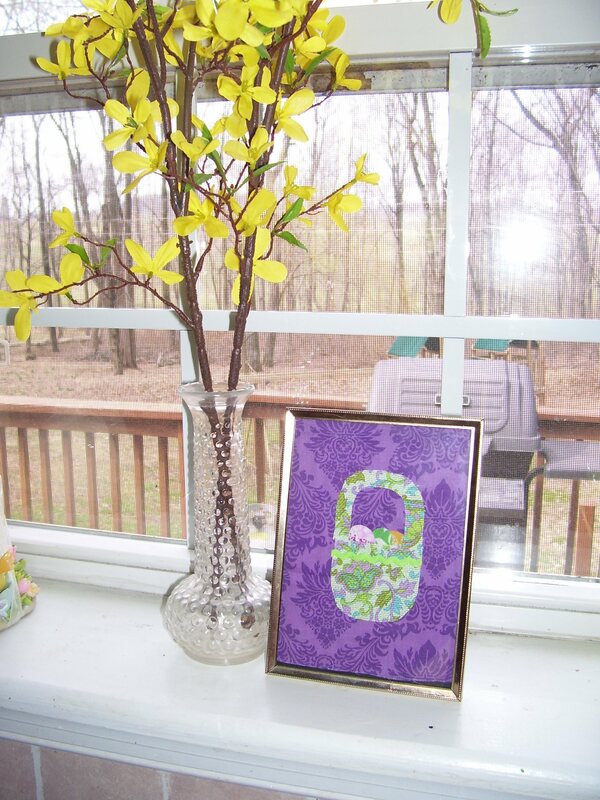 and put a piece of cardstock in front of the glass. 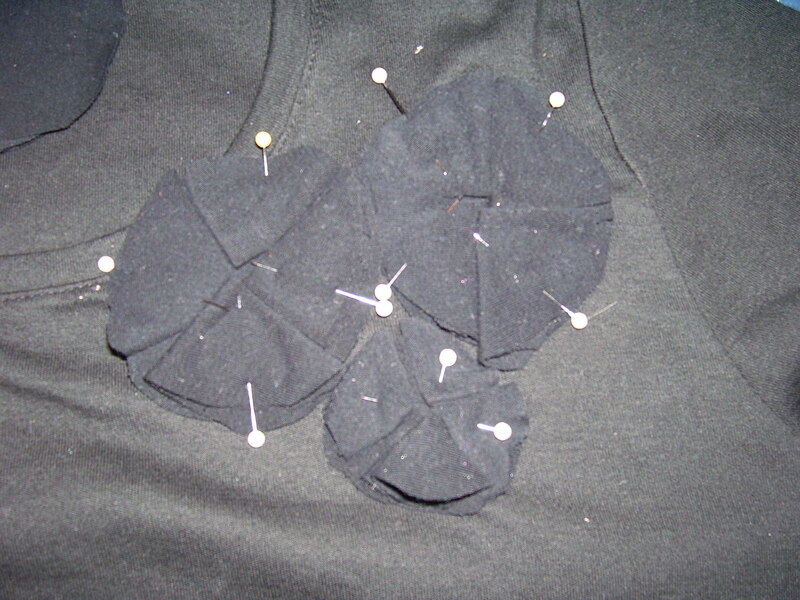 Then I cut out the shape of an egg from a piece of fabric that I really loved. I hot glued around the edges of the fabric. My last step was to hot glue a length of rickrack around the outline of the egg. How easy is that? 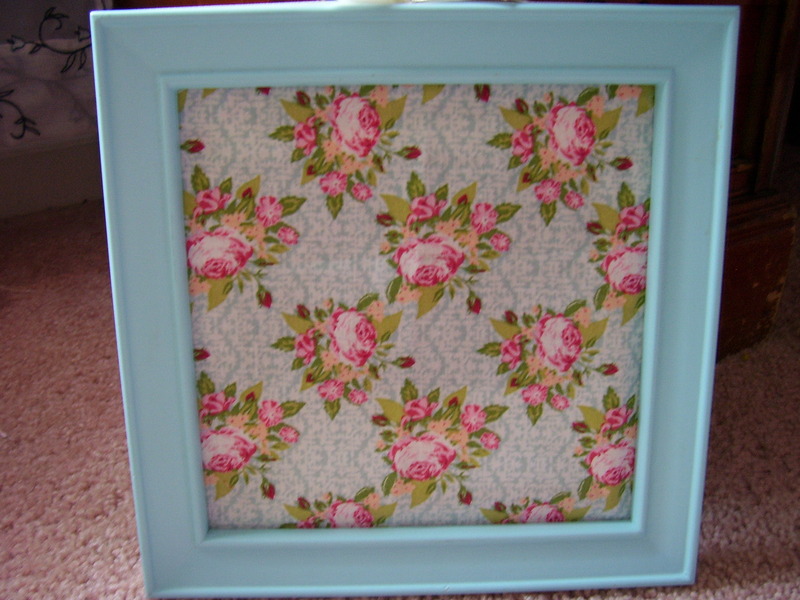 Since I was digging that vintage-y rose fabric so much, I used it for another quick project. 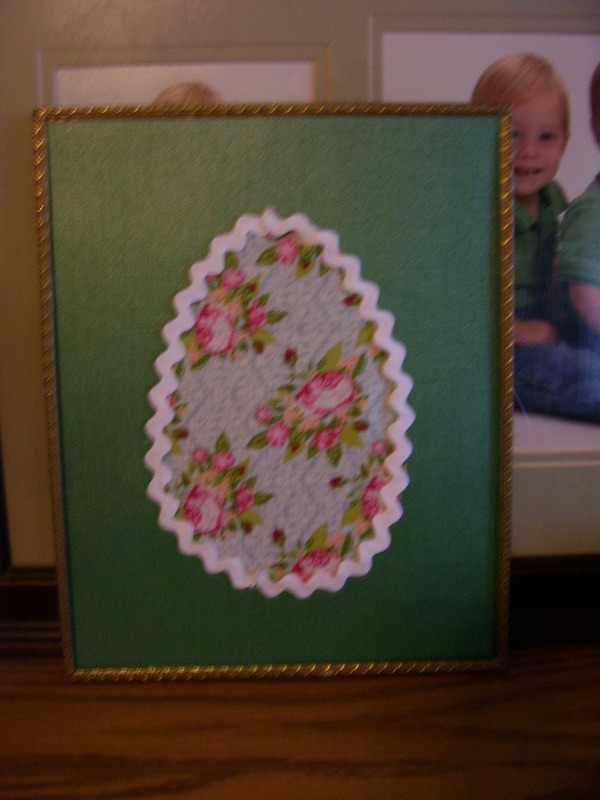 This time I used this robin’s egg blue frame (A Goodwill 50 cent find) and simply placed a piece of fabric in front of the glass. A sweet little Easter basket! My last mini project was just slightly more involved. I took this purple damask fabric (should have ironed it!) and used it as my background. 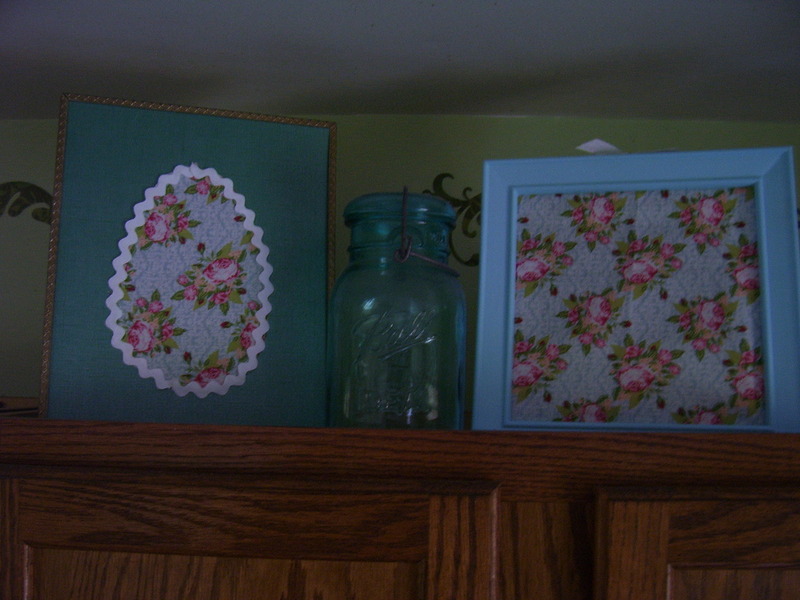 Mini Easter eggs were cut from a variety of prints, arranged and hot glued so they would peek out of my basket. 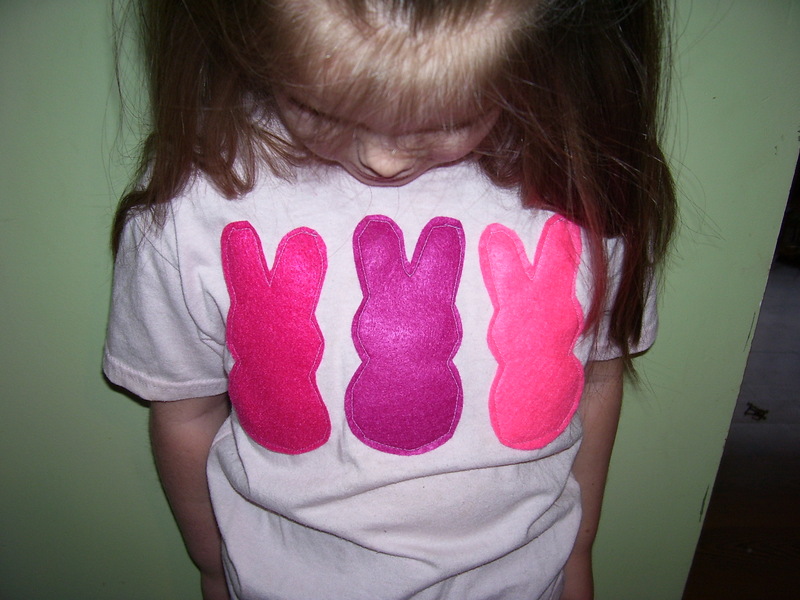 Then I cut out the shape of an Easter basket from a coordinating print and hot glued that bad boy down. 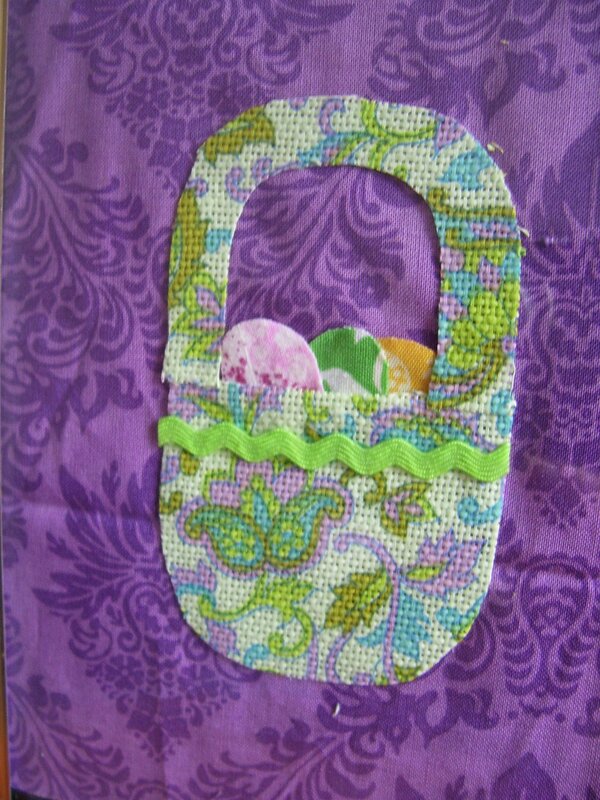 Lastly I glued a small length of rickrack to accent the front of the basket. Hopefully this post gave you a little inspiration and some easy ideas for your own home. 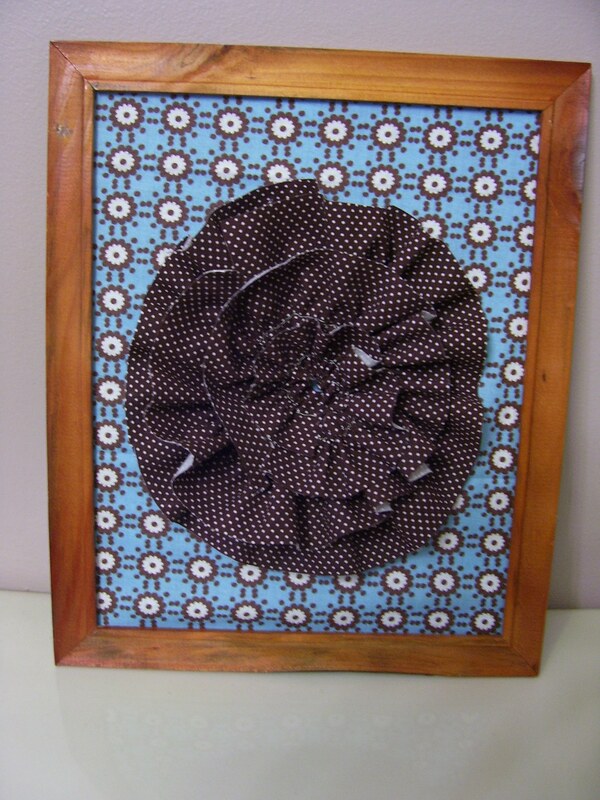 If you have some frames, a hot glue gun, and some fabric scraps you can turn out some cute little works of art to dress up your spaces. 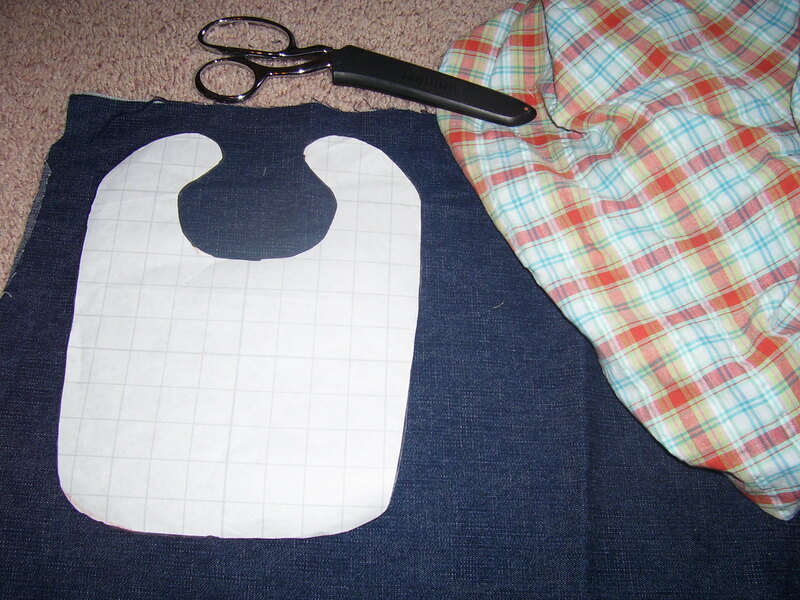 If you have no fabric on hand, I believe the same idea can work using cardstocks and scrapbooking paper as well. This is for all of you frugalistas out there. You know who you are! That’s ok, it’s actually pretty hip to be frugal right now. Here’s a little idea for anyone who is looking to update a bathroom in your house for super cheap. (Or you can steal some of the ideas for other rooms as well. 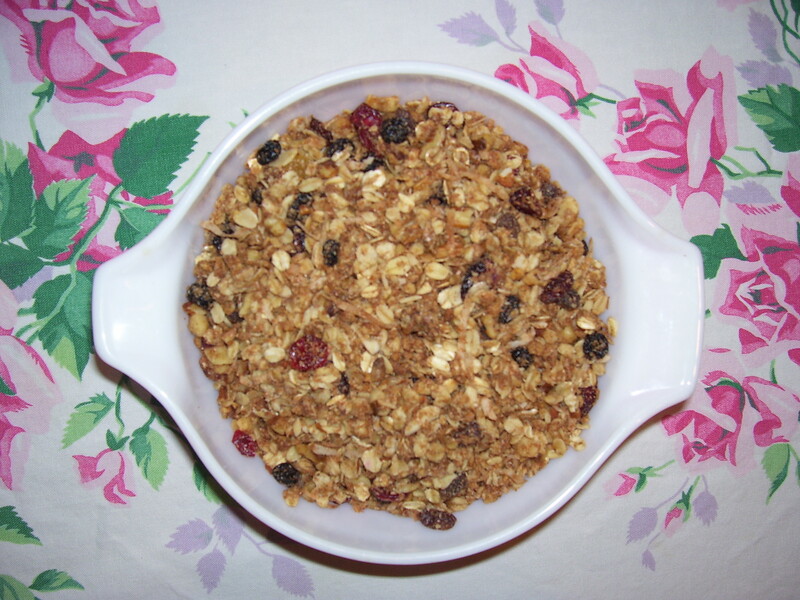 )I did all of these ideas for less than $5–yes, you read that correctly. For ALL of them, in total, less than $5 to update the look of my bathroom. The first area I dressed up was this wall. 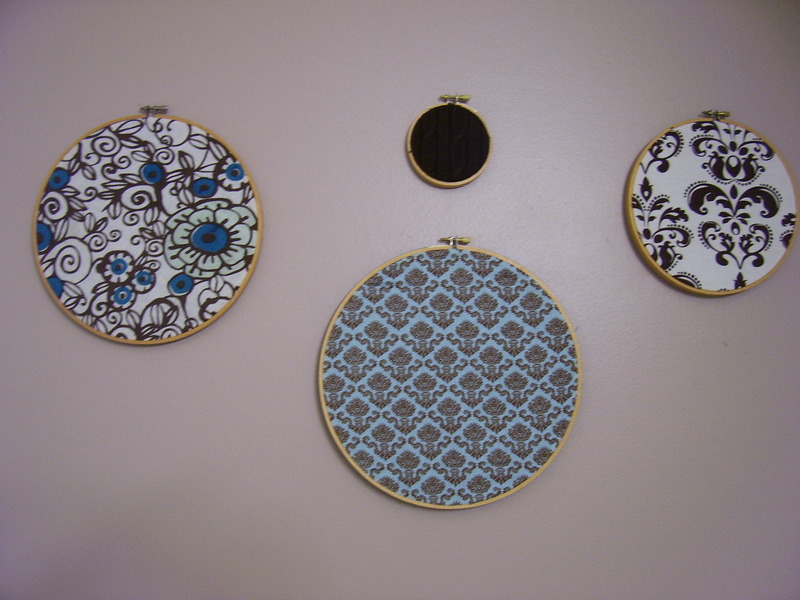 I have been picking up old embroidery hoops at thrift shops for a song–they were all 10 cents to 50 cents each. This is such an easy, quick idea for any blank wall in your home. 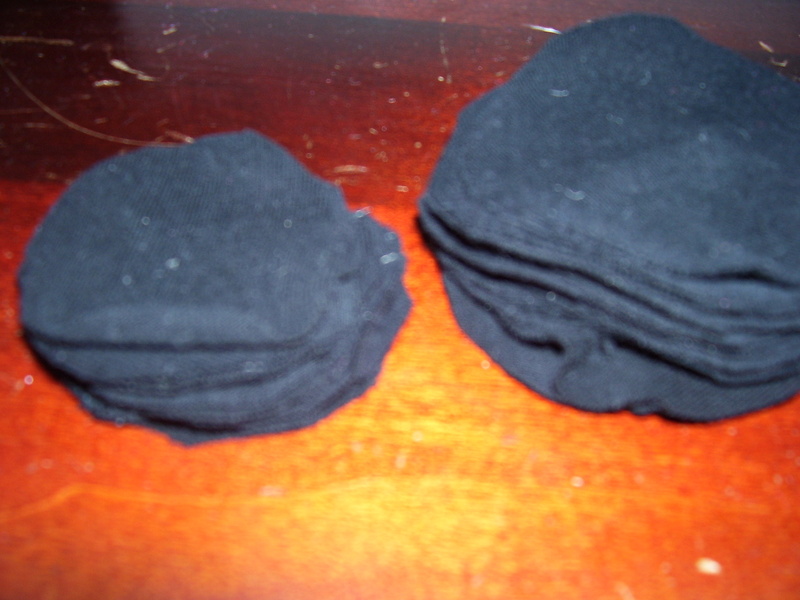 I then took some pieces of fabric that I already had and sandwiched it in between the two parts of the hoop. The tiny hoop with the chocolate brown is actually part of a cable-knit sweater that I upcycled. My 85 cent shower curtain. The next area of focus was my shower curtain. I had had the same one for about the past 3 years. Even though I still loved it, I was ready for a little change. You can spend upwards of $20 or more for a new shower curtain, but I was inspired to do one of my own. 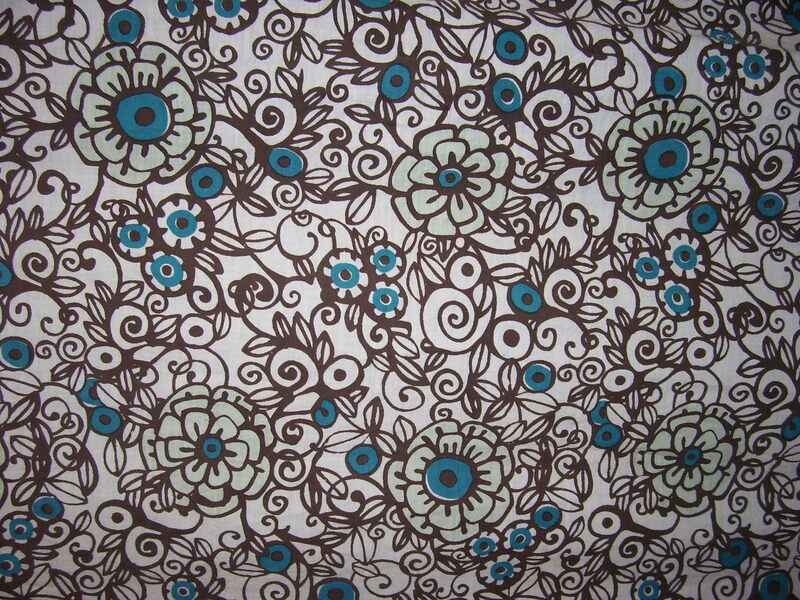 I discovered this printed flat sheet at the Goodwill Bargain Room (one of my favorite places!) where everything in the bins is 85 cents. 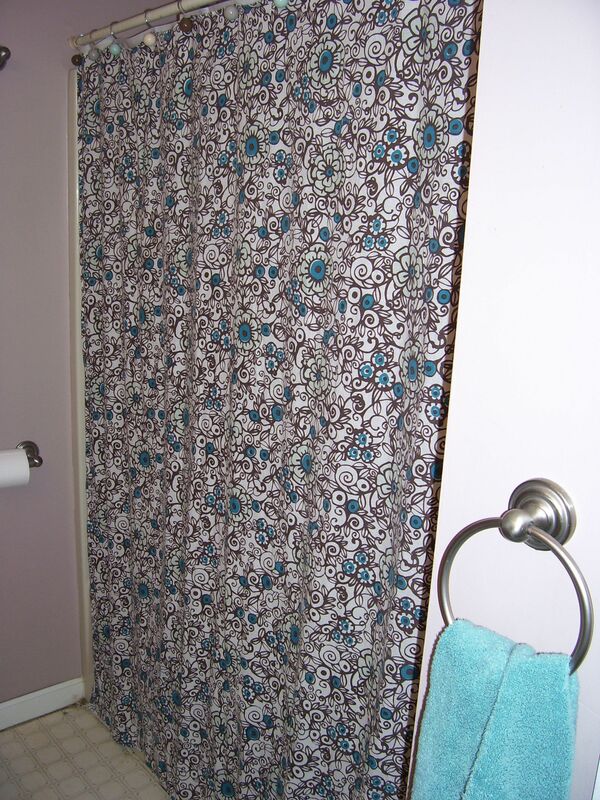 I sized up my old shower curtain, cut this one down to the appropriate size, and hemmed any raw edges. The final step for this was punching holes at the top for my rings (I was using the same rings as before). I have seen some really cute ideas with ruffles and such to embellish a shower curtain, but this print was so busy that I decided I better leave it alone. 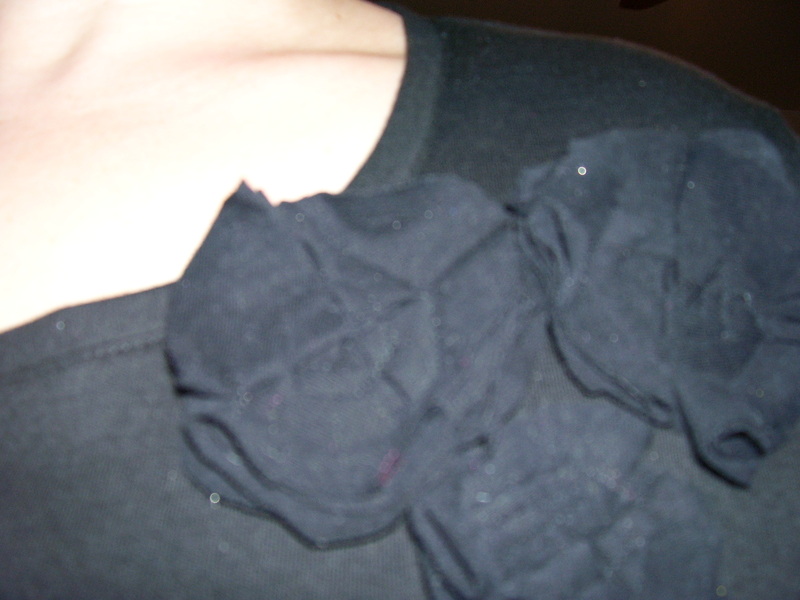 The last update I worked on was this ruffled flower. I had seen the idea on makeit-loveit.com and wanted to give it a whirl. I took a frame from the Dollar Tree, took out the glass and cardboard inserts, and slipped a piece of fabric so that it is in front of the glass. 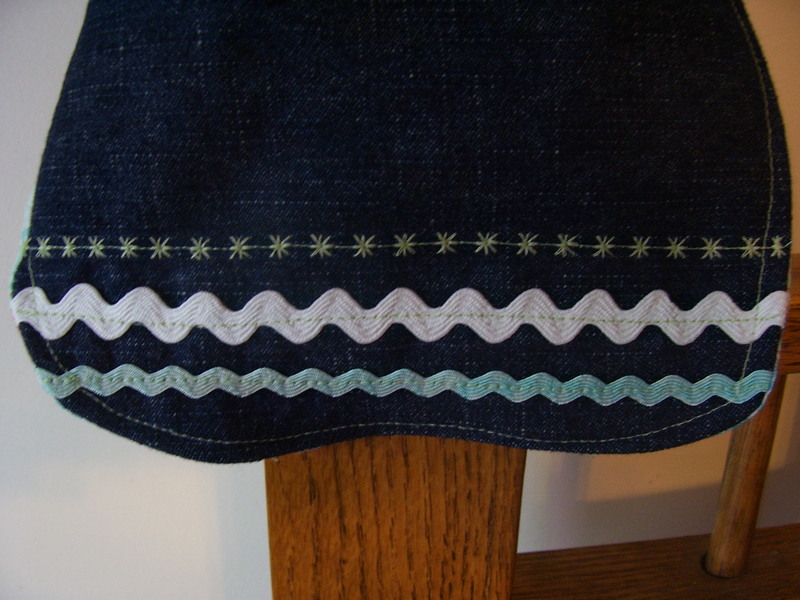 For the flower itself, I cut long strips of cotton (they were maybe 1″ wide) and sewed a straight stitch set at the longest stitch length. If you want to try this out, do not backstitch at all. 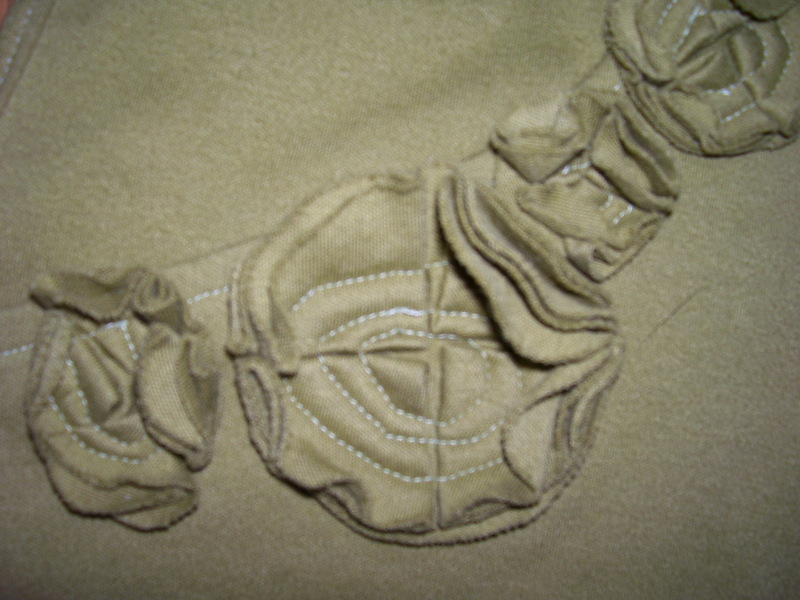 After stitching I pulled the thread from the underside (the bobbin thread) to make ruffles or gathers. These can be as loose or as tight as you wish. To form the flower, simply hot glue these lengths of ruffles in a circle, starting at the outer part and circling in to the middle. Done! So, there you have it. 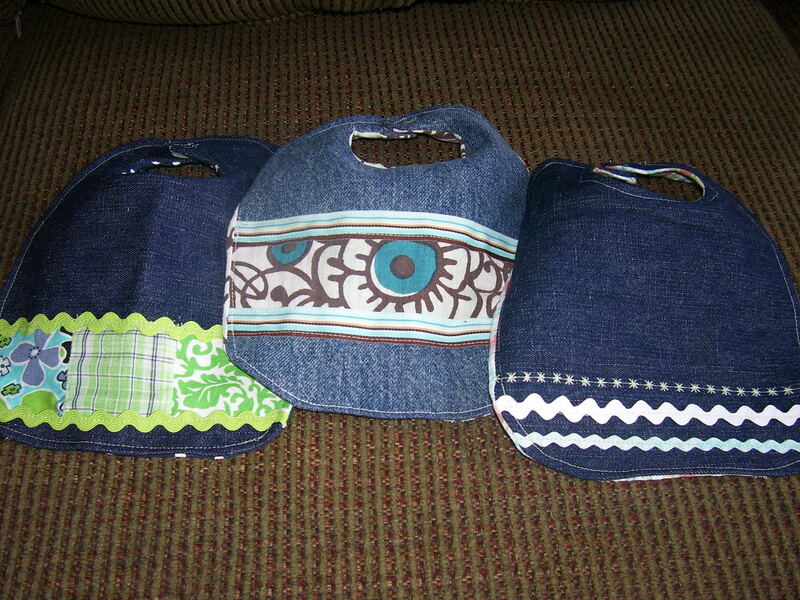 A frugal, hopefully easy set of ideas for all of you diy girls. I used thrifted embroidery hoops, a flat printed sheet from Goodwill, fabric I already owned, and a picture frame from the Dollar Tree to update the look of my bathroom. Don’t you love saving $?